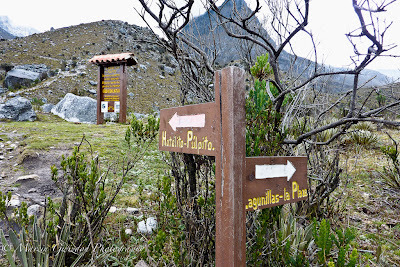 To get to the base of Pan de Azúcar (and Púlpito del Diablo) follow the trail from Cabañas del Púlpito (the southern access) that passes Finca Hermanos Herrera. 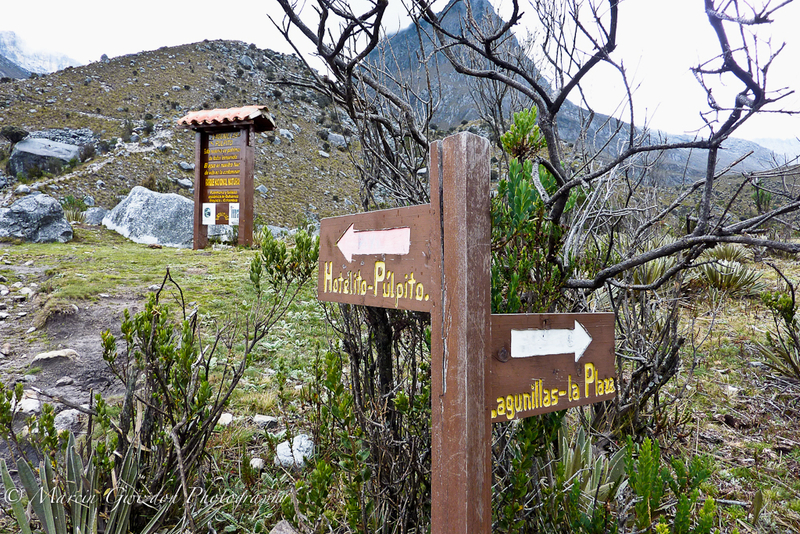 It is a wide, well visible horse trail up to Laguna Pintada. 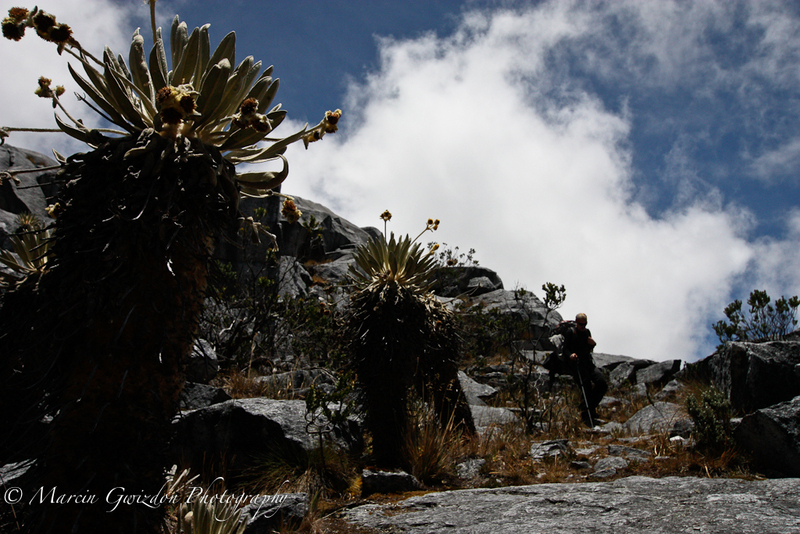 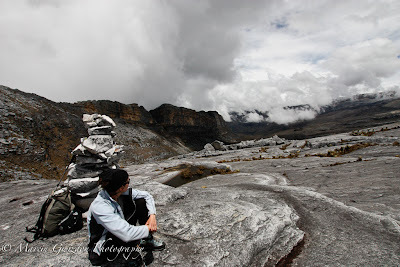 From there the path turns left to what is marked as "Hotelito - Púlpito" and gradually becomes a steeper ascent all the way to Campamento Lagunillas - the base camp for Pan de Azúcar. It is a great place for camping with great views, plenty of water and good protection from the wind. 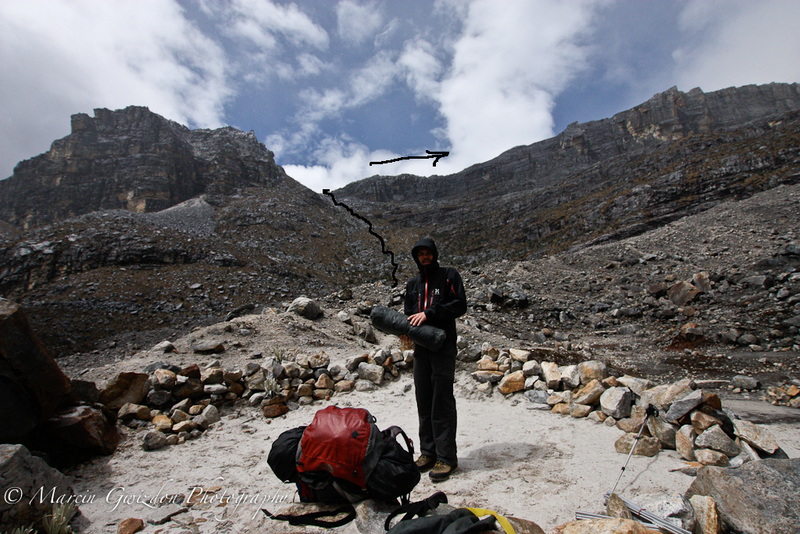 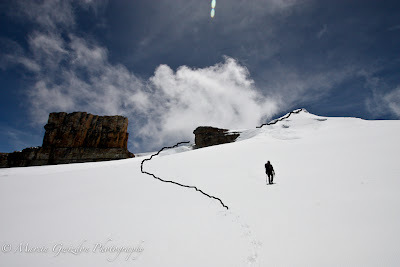 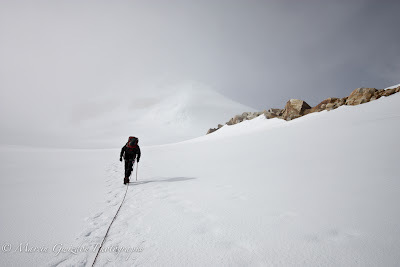 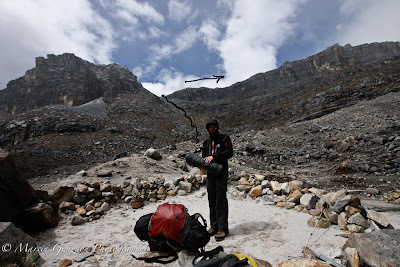 From there walk up north to the rocky plateau and follow the cairns (piles of stones) to the border of the glacier. 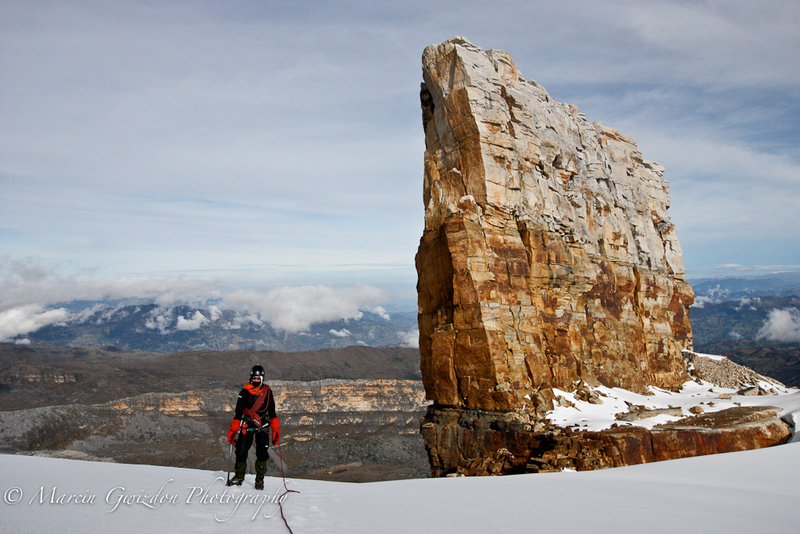 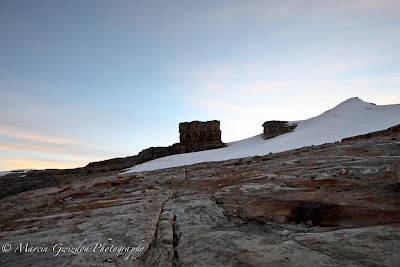 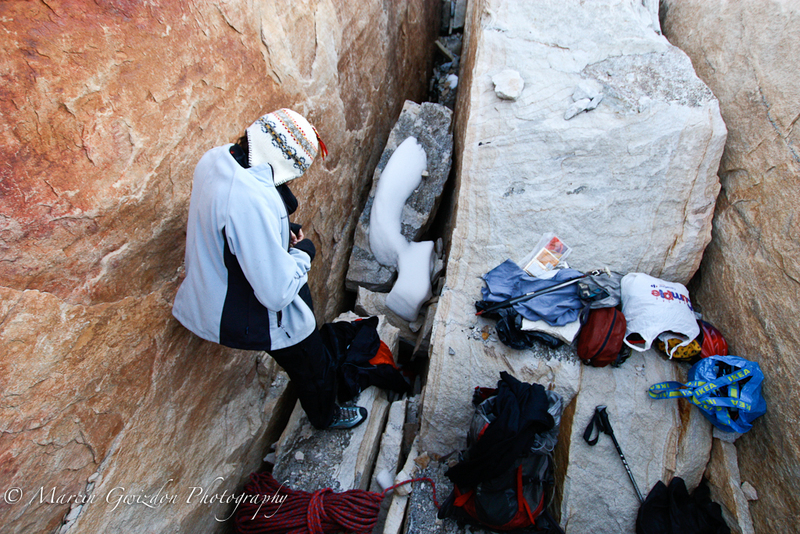 If you are planning to climb Púlpito del Diablo it might be a good idea to set up a camp here. 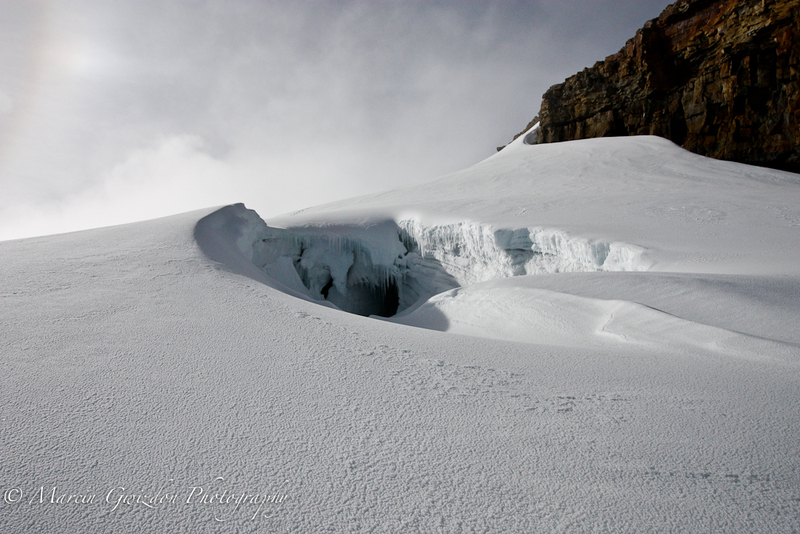 There is water during the day from the melting glacier and some big boulders to give your tent protection from the wind. 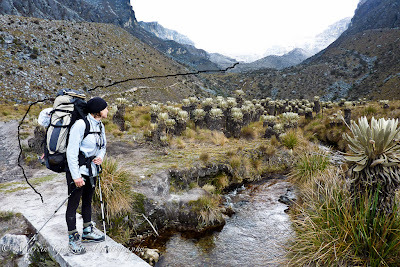 From the border of the glacier take the route that goes between Púlpito del Diablo and another rock formation on the right. There is a big crevasse next to it so stay well away from it, walk around it and, having the rocks on your right walk towards the final ridge of Pan de Azúcar. 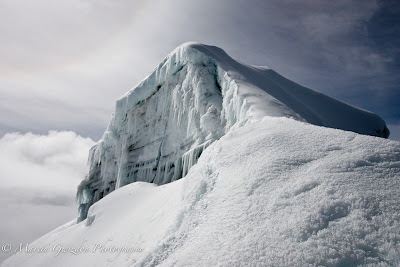 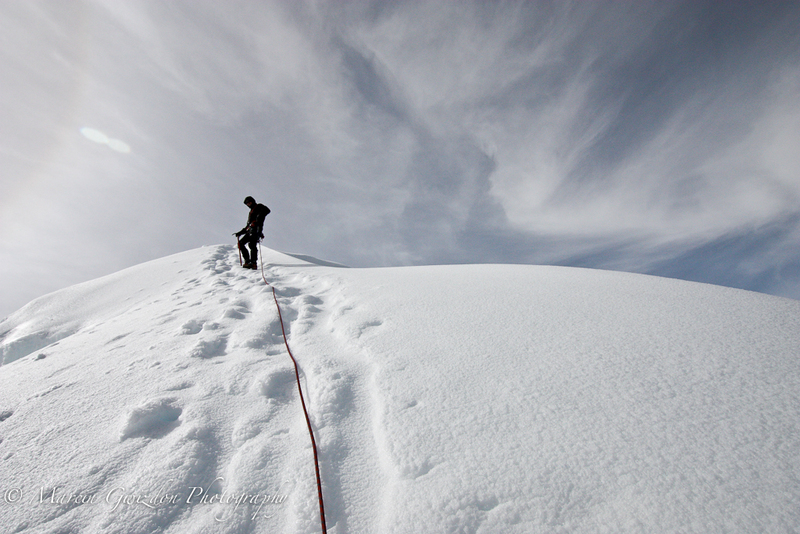 Once there stay on the right side of the ridge as there are some cornices there.